Fibonacci Spiral is a magic structure that can surprise anyone who are getting introduced with it first time. It has got special importance as it is very commonly found in the nature and human creation. Let me explain you how fibonacci spiral is formed, following mathematical theories. A fibonacci spiral is developed through the corners of squares. And the areas of the squares maintain a fibonacci series.In the illustration below, we can see the areas of the first 2 squires are 1, and the area of the second squire is 2, likewise the areas of the squares maintain 1,1,2,3,5,8,13,21.... series, which is cold fibonacci series proposed by a gentle man. When a new square is added, it creates a rectangle which is called golden rectangle because the length and width of the rectangle are in golden ratio, 1.618. 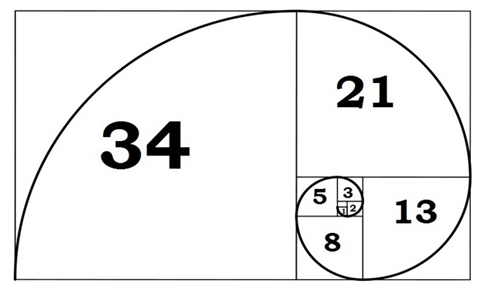 You can read more about golden ratio and golden rectangle here. Traders over years showed interest on golden spiral because it is very commonly found in nature and human creation, and it closely tied with the fibonacci series and the magic ratio, 1.618. 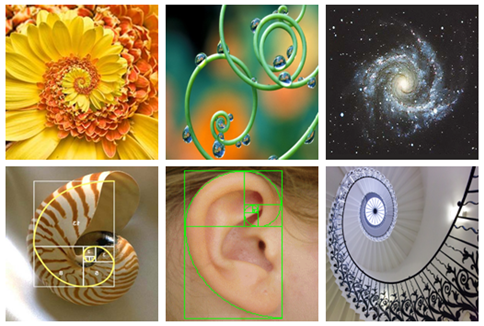 In image below, you can see some example of existence of golden spiral in nature and human creation. 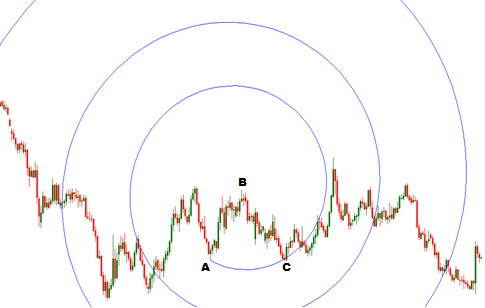 Let me explain how the golden spiral can be used to trade in financial market. So many books of technical analysis explained about trading with golden spiral. 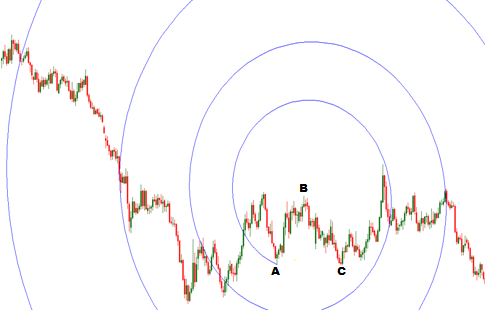 To draw a golden spiral on the price chart of financial market, traders need to find an ABC pattern. A golden spiral generally has a center that is also the starting point. But in technical analysis, the center and starting point of golden spiral are two different points. Among the A,B and C points, if we take one point for center of the spiral then any one out of the rest two will be taken for the starting point of the spiral.And a spiral can be clockwise and anticlockwise. 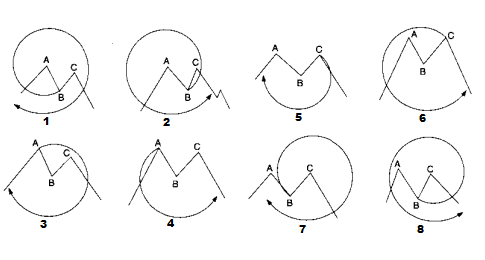 So, the following options are available to draw a golden spiral on the price chart of any financial market (Fibonacci application and strategies for traders-Fischer & Robert). In the illustration below, a clockwise golden spiral is drawn on a price chart centered at B point and started from A point. In the following illustration, a anticlockwise golden spiral is drawn centered on B point and started from A point. It is not necessary to draw the spirals in all possible ways, but two or three spirals can be drawn to find the most effective one. The rings of the spiral represent the combination of both time and price, which is very rarely found with other fibonacci tools. Any ring of the spiral represents support level or resistance level and a time when the market may make a large move. Golden Spiral is a magic tool that uses the combination of time and price and can be applied to predict the next move of the market. In my next posts,I will come with some case studies to explain the trading techniques with golden spiral. When the market going across a ring, the probability of a larger move is higher, and a ring can function as a support or a resistance level.